The key to great personnel at your workplace, is great training. All of the senior staff at IPG are qualified as TapRooT® contract trainers and also hold training qualifications in other areas of health and safety in the workplace. Whether you are requiring incident training, training for those tasked with investigating or are seeking to develop new material specific to your worksite, IPG can provide a one stop shop. – Advanced Root Cause Analysis Team Leader Training This course is one for those who want to be the expert in using TapRoot® at their site. 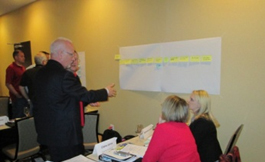 It includes the essential techniques plus advanced root cause analysis skills and touches on the Root Cause Tree. As well as the topics covered in the 2 day TapRoot® Incident Investigation & Root Cause Analysis, this course includes; • Collecting Information • 14-Step Cognitive Interview Process • Critical Human Action profile (CHAP) • How to Analyze Management Systems • Understanding the Cause of Human Error • Using Root Cause Techniques Proactively • How to Change Behaviour • Change Analysis • Equifactor® • Safeguard Analysis • How to Present Your Results • Exercises to reinforce every skill you learn. This course is essential for those interested in improving equipment reliability and can assist investigators who encounter equipment failure in their problem analyses. 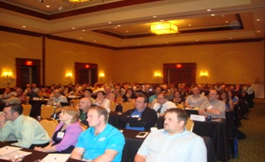 It begins with the 2 Day TapRoot® and adds a day of equipment troubleshooting and root cause failure analysis skills. An investigation is only as good as the data that is collected for analysis. 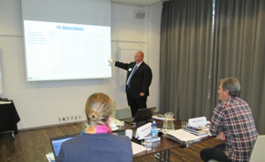 This course gives investigators additional tools, techniques and experience in gathering the evidence required for their analyses. Topics covered include: What to do – Incident Responses, Tools, How to investigate, Scene Examination, Collecting Evidence, Interviewing, Development of reports – What has to be in there and How they should be structured. 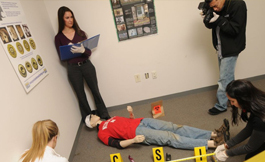 To complete the course a simulated incident is staged and participants are required to use the skills they have learnt to complete the investigation. Click the link for the appropriate course you wish to attend. Click Here to Register: Please note: This will open a new page. Cost: Contact us for up to date pricing.